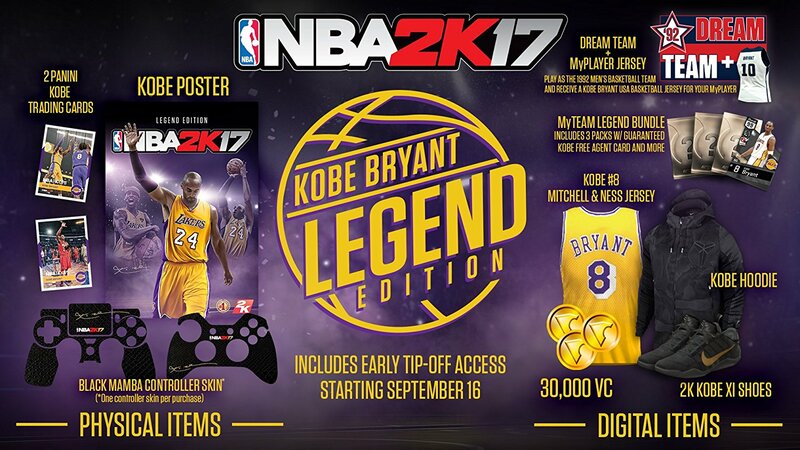 There are three different Editions of NBA 2K17, available for PC, PlayStation 4 and Xbox One platforms! Let's take an in-depth look at the content that these collector's editions include, giving you all the information you need to know! 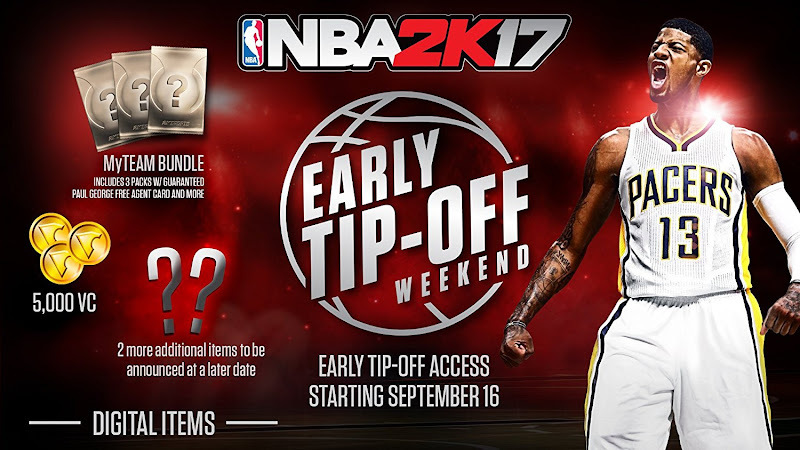 The game will be officially released on September 20th, 2017. Pre-ordering the game will get you Early Tip-Off Access, which'll let you start playing the full game on September 16th, 2016. 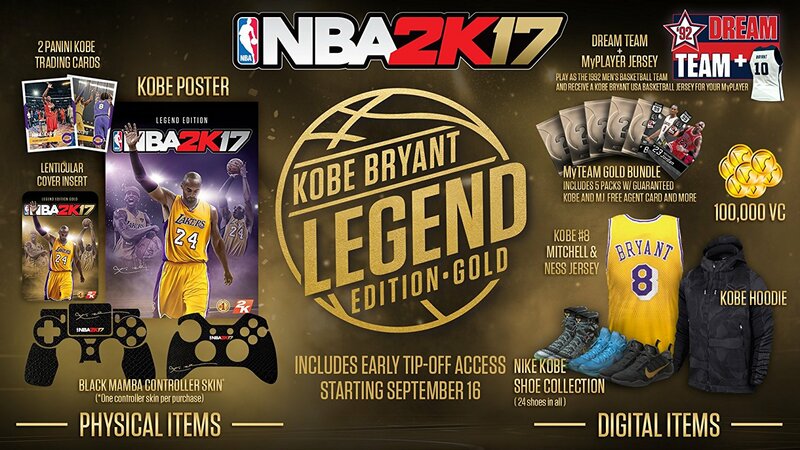 Note: Free physical items are only available to those who will buy a physical copy (disc) of the game from retailers.